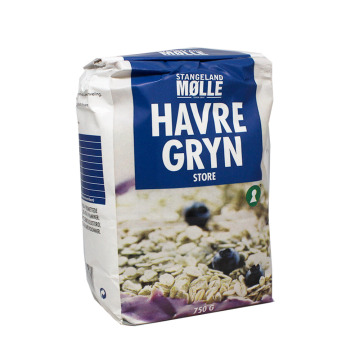 Cereals, muesli, granolas and seeds of all kinds. Discover the best oats from different countries, as well as the seeds, pipes and mueslis of cereals from every part of the world. If you like quinoa this is your supermarket... we have quinoa of all kinds and also ecological quinoa. 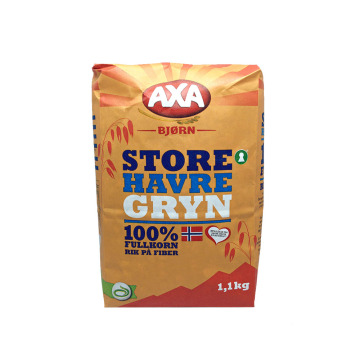 ENHealthy cups of Nordic oats. It is said that the improved vein comes from the Scandinavian countries, try it and decide for yourself. 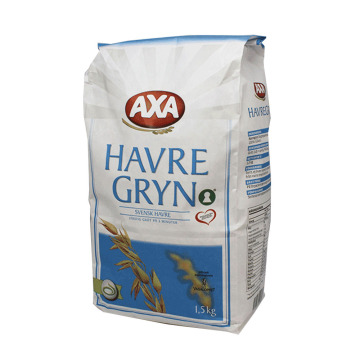 SVNordic havreflingor friska. Det sägs att förbättringen ven kommer från de skandinaviska länderna prova och besluta själv. 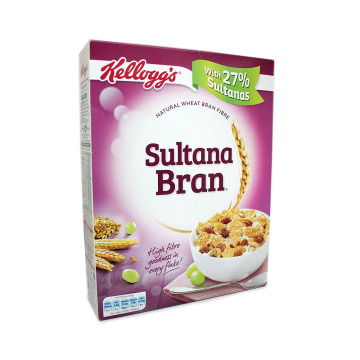 ENDelicious and healthy oats enriched with high amounts of wheat bran fiber. 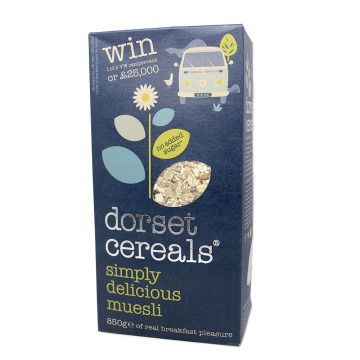 Ideal for porridge for breakfast, for muesli with yogurt or for baking your breads or pastries. 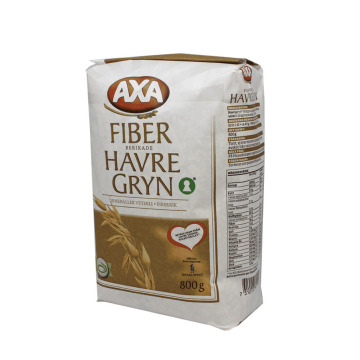 SVInnehåller havregryn och fiberrikt vetekli. 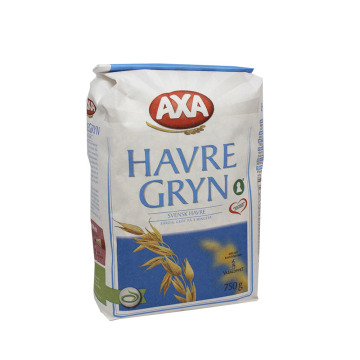 Gott som gröt, müsli eller att baka med. ENEnjoy porridge or flakes of 100% whole grain oats and very rich in fiber. Besides its flavor is neutral so you can add what you want to enrich it and give it the flavor you prefer. NLGeniet van havermout of volkoren 100% en zeer rijk aan vezels. 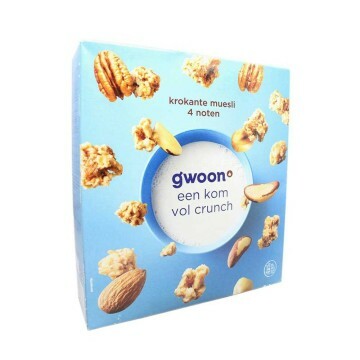 Naast de smaak is neutraal, zodat u kunt toevoegen wat je wilt verrijken en geven de smaak van uw voorkeur. ENMornflake oat flakes is pure nature and the perfect choice for a healthy lifestyle. Oatmeal are super-fast and so absorb water or milk in a very fast so stay perfect almost instantly. You can make a porridge or gruel smooth and creamy. 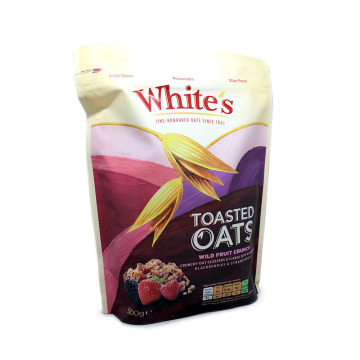 ENWhole oat flakes in 1kg bag at very low price. 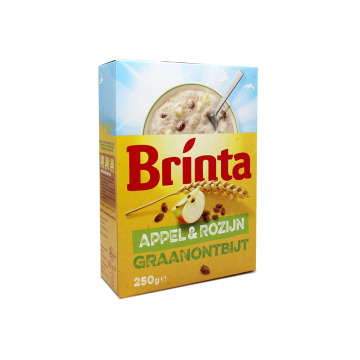 Prepare hot porridge or oatmeal with 40 grams of oatmeal and 270 ml of hot water. 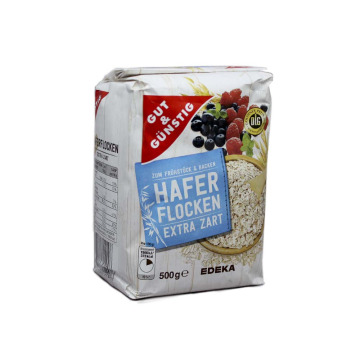 You can also prepare a pancake of oats with these flakes, making the mixture with milk and water, and adding ingredients such as cinnamon, vanilla, nuts, dehydrated fruit ... etc. 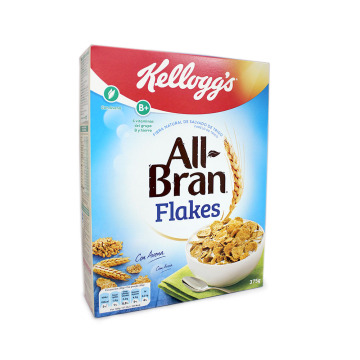 ENEnjoy the authentic taste of oats and wheat flakes with nuts and delicious seeds. Serve them with milk, yougurt or with fruit juice, not only is it delicious but it is a healthy breakfast very rich in fiber and protein, that will help you to get energy for the whole day. 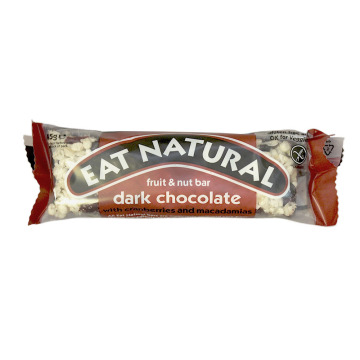 ENCrunchy and delightful cereal bar of 45 grams with dark chocolate, cranberries and macadamia nuts. It is gluten-free and is suitable for vegetarians. 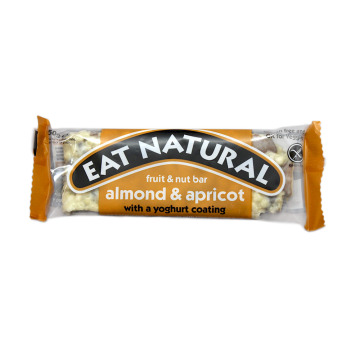 This chocolate, fruit and nuts bar is the ideal snack to go for a walk, to carry in the backpack when you are on a getaway or for a snack between the hours. 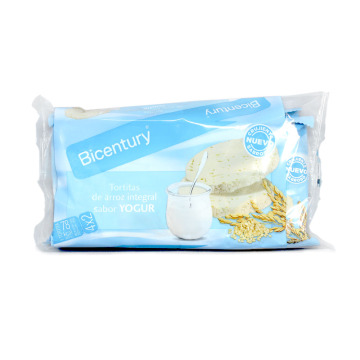 ENCrispy and delicious cereal bar of 50 grams with almonds, apricot and a thin layer of yogurt. 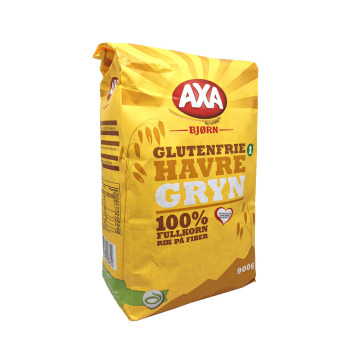 It is gluten-free and is suitable for vegetarians. It is the ideal snack to go for a walk, to carry in the backpack when you are on a getaway or for a snack between the hours. 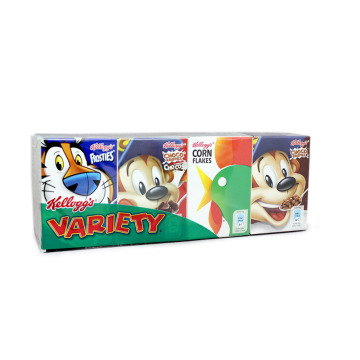 ENTaste one of the best cereal brands in the world. Enjoy these cereals with papaya, pineapple, raisins and flakes of wheat, barley and oats. Eat them with yogurt, milk or natural juice. 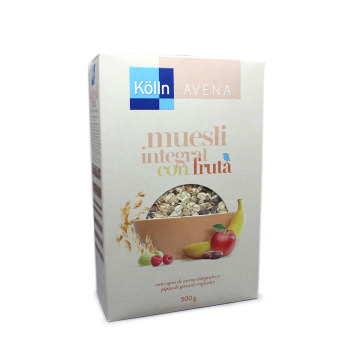 ENCrisp, delicious and healthy cereals with fruits, nuts, pumpkin seeds and muesli. Take them during breakfast with milk or yogurt. They are rich in fiber and protein. Its caloric intake gives you a lot of energy and its satisfies your appetite quickly. ENDelicious oat and rye cereals with Pecan nuts, sunflower seeds and almonds. Eat them at breakfast and take the strength to start an active day. It is totally suitable for vegetarians, it also has the seal of the Vegetarian Society. 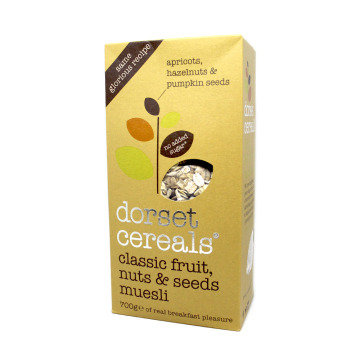 ENAmazing mix of toasted flakes with whole almonds, dates, Brazil nuts and sunflower seeds. 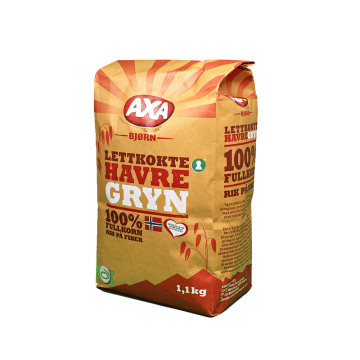 Enjoy unique and unique cereals and benefit from its high fiber and protein content. Suitable for vegans and vegetarians. 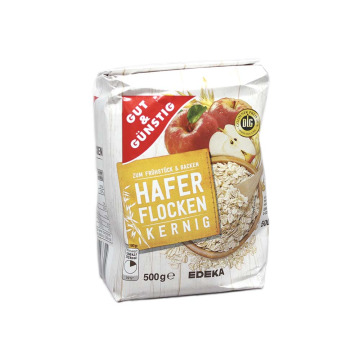 ENWhole oat flakes of Heritage. Prepare your breakfast oats with yogurt, milk or water. Take all the benefits like fiber, protein and energy that oat provides you. ENEnjoy a full, healthy and delicious breakfast with these whole wheat flakes and rolled oats with raisins and hazelnuts and roasted almonds. 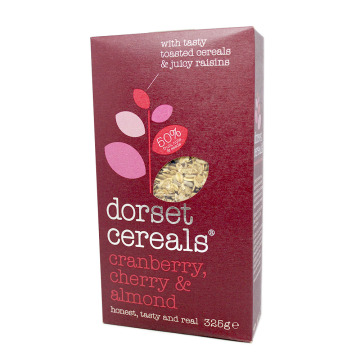 ENCrunchy and delicious English cereals with flakes of wheat, oats and barley, with red currants, cherries and almonds. 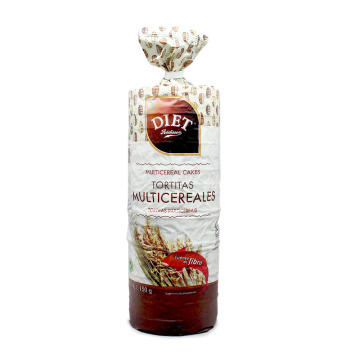 Benefit from its high fiber content and its caloric energy intake, while enjoying all its flavor. 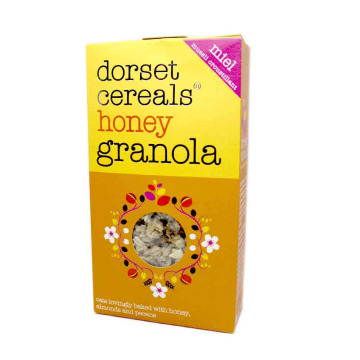 ENClassical Dorset cereals from United Kingdom. Its flavor is unique and its combination of whole flakes with dehydrated fruits and nuts is exquisite and very well balanced. 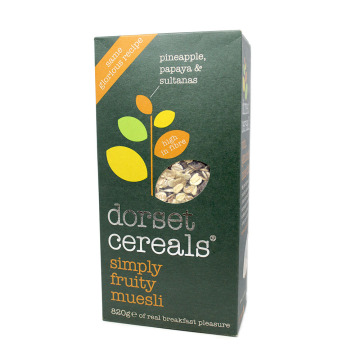 Take them with breakfast and start the morning with an incredible taste and with all the energy you need for the day. 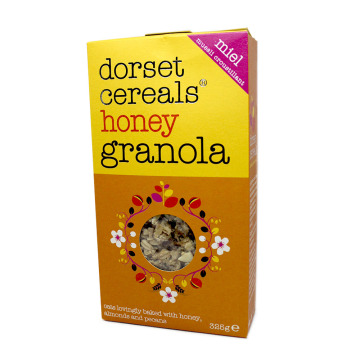 ENGranola cereals with honey are an exquisite blend of oats and sunflower seeds with hints of honey, nuts and almonds. The flakes are softly baked and have a hint of vanilla. ENAn incredible blend of toasted spel, barley and wheat flakes, lightly mixed with sweetened dried pineapple, pumpkin seeds and hazelnuts. A unique fusion for your daily breakfast. ENCrunchy and delicious whole wheat flakes with oatmeal. A breakfast rich in fiber and vitamins B6, D and B12, which will give you energy to start the day with strenth. 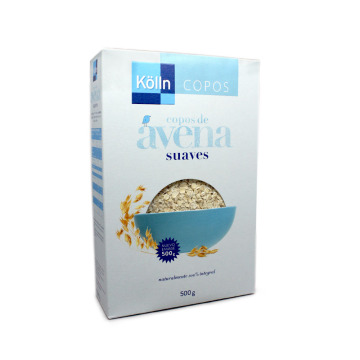 ESCrujientes y deliciosos copos de trigo integral con avena. 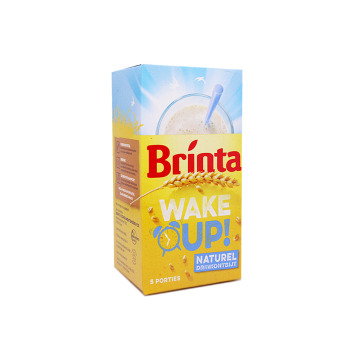 Un desayuno rico en fibra y en vitaminas B6, D y B12, que te dará energía para empezar bien el día. ENWheat cereals inflated with honey and sugar! 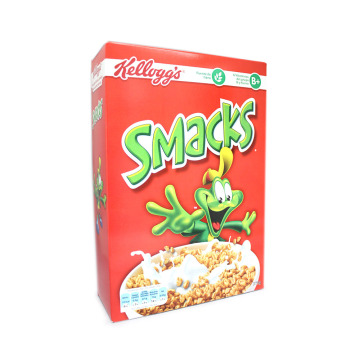 Kids really love Smacks and they are rich in vitamins and minerals. 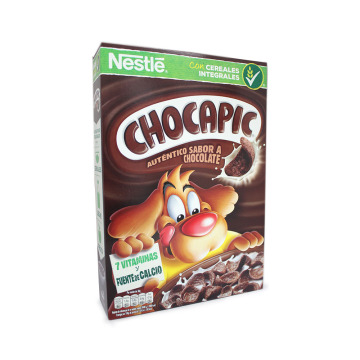 ES¡Los cereales de trigo inflado con miel y azcúcar! A los niños les encantan los Smacks y son ricos en vitaminas y minerales. ENTasty and crisp Special K. flakes. These cereals are a blend of whole wheat, rice and barley. Give your body the fiber you need while you enjoy a crunchy breakfast. 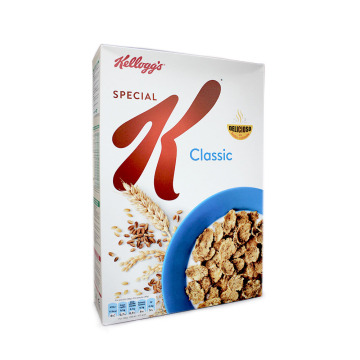 ESRicos y crujientes copos de Special K. Estos cereales son una fusión de trigo integral, arroz y cebada. Dale a tu cuerpo la fibra que necesita mientras disfrutas de un desayuno delicioso. 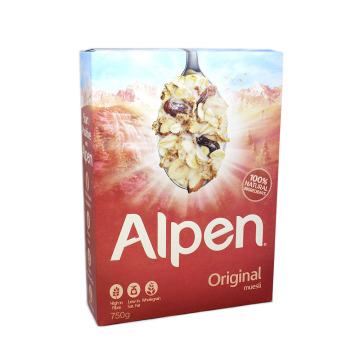 ENCrispy whole oat flakes very rich in vitamins and minerals. DEKnuspriger Vollkornhafer reich an Vitaminen und Mineralien Flocken. ENDelicious crunchy muesli of whole oatmeal mixed with a selection of dehydrated fruits and seeds. DEKöstliches knuspriges Müsli aus ganzem Haferflocken, gemischt mit einer Auswahl an dehydrierten Früchten und Samen. 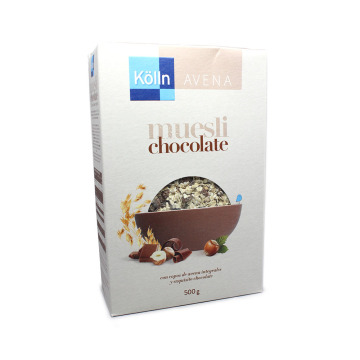 ENTaste this German muesli with whole oat flakes and delicious chocolate. A fusion of oats with chocolate, milk chocolate and hazelnut crunch. DESchmecke diesen deutschen Müsli mit ganzen Haferflocken und köstlicher Schokolade. Eine Fusion von Hafer mit Schokolade, Milchschokolade und Haselnussknirschen. ENDelicious whole wheat cereals and very rich in fiber and iron. 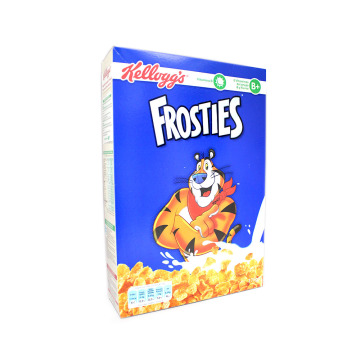 These famous cereals are enriched with vitamins and iron. They are low in fat and low in sugar, also they are as a source of protein. This product is totally suitable for vegetarians. ENCrunchy and exquisitely lightly toasted oatmeal combined with wheat flakes, chunks of raspberries, blackberries and strawberries. A perfect breakfast to start the day with strength. Take them with milk, yogurt or juice. They are ideal as a healthy snack. 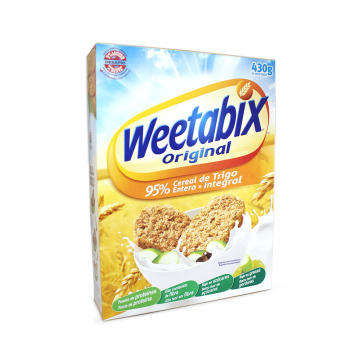 ENTaste this cereal mix based on whole wheat bran, oat flakes and delicious sultanas. These cereals are rich in fiber, vitamins and folic acid. It is a product suitable for vegetarians and kosher.